Phyllis is bustin’ moves down in her burrow. She is so excited about tomorrow that she decided to have a Pre-Groundhog Day Celebratory Square Dance! Tomorrow she will either swing into Spring or do a do-si-do-ing dive back to the depths of her burrow to bundle up for more of this bitter cold winter. She couldn’t have this celebration without Susanna being a part of it. Don’t even ask how Susanna managed to squeeze through the burrow to join Phyllis and her friends. We all know Susanna has magical skills and I am chalking it up to that. What’s more, Phyllis invited us to have a peek via Burrow-Cam. And here is Phyllis sporting her square dance getup. Yes, her hair is big! But what Phyllis wants Phyllis gets and this is one time she wanted to be a little extravagant with her rat-tail comb and maximum hold hairspray. Don’t panic. She will be back in her precious overalls with her toboggan hat for tomorrow’s weather revelation. The hat should more than accommodate the aftermath of her big-hair. 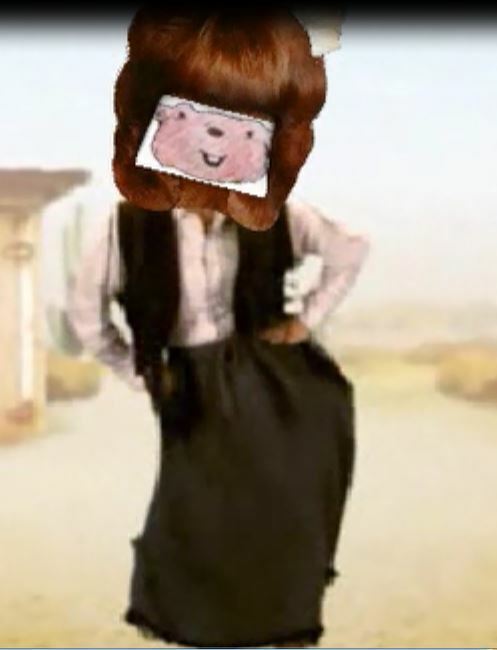 Not only did Phyllis celebrate with a Pre-Groundhog Day Square Dance, she has been all over the Internet as many bloggers have participated in Phyllis’s Fun Fashion Show! Susanna Leonard Hill is hosting this extravaganza and you just have to visit her blog and check out the links to see all of Phyllis’s fashions. By the time you’ve finished you will wonder why everyone asks, “How much wood would a woodchuck chuck if a woodchuck could chuck wood?” The real question should be, “How many garments could a groundhog gather if a groundhog gathered garments?” OK! Maybe that isn’t as catchy! Ignore my lame joke and head over HERE to check out the fun.